Exeter alumnus Jerry D Rhodes (1950, Modern History) has published I Wonder: The Science of Imagination with Clink Street Publishing. 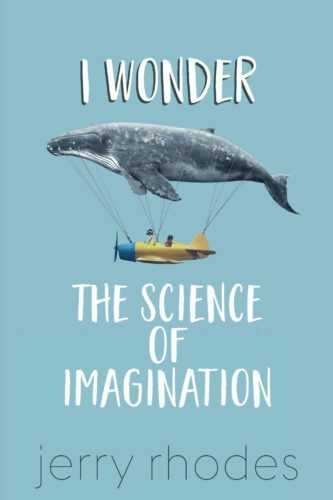 I Wonder explores imagination and its leadership of thought. Creative and unexpected, it is designed to inspire more widespread usage, placing imagination on an equal footing with knowledge, judgment and the feelings that can overwhelm both. Jerry Rhodes identifies the paradox that this highly admired skill is too often seen as remote or merely peripheral, leading to tragic waste or lost opportunity. Through years of action research, encouraging creativity within the more agile organisations, Mr Rhodes found more of it than they made use of. Yet our success depends on growing talent and harnessing bright ideas; not just in inventing something new but thinking up objectives, foreseeing the possible causes of disaster, all risks outside the obvious, and not least how to deal with them. I Wonder traces the birth of ideas, revealing how they emerge from imagery, from our memories as well as our present experiences. By engineering thinking with unusual mental approaches we can learn how to reach exceptional ideas on demand. While ingenuity drives most invention, it is when we open up to wonder that sublime envisioning breaks through, with all its awe and mystery. This total freedom allows intuition without evidence, natural pretending as of a child, and feats of astonishing connection. To read more and to purchase a copy of I Wonder: The Science of Imagination click here.